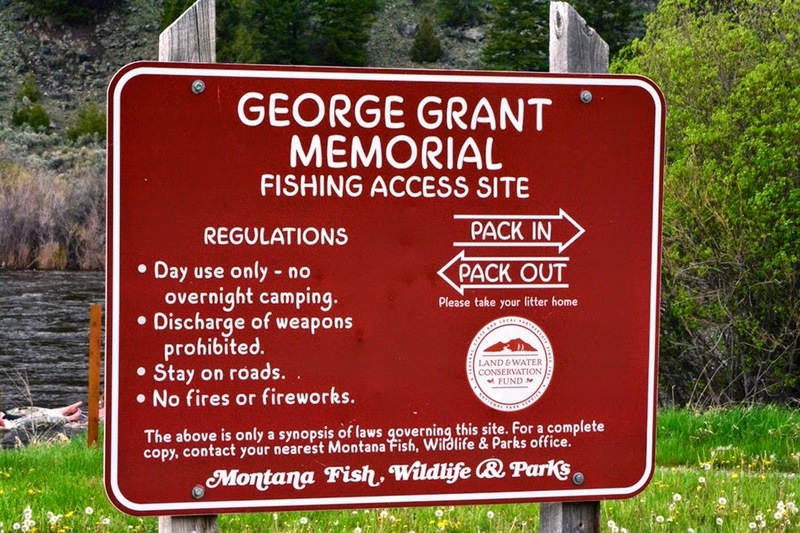 Hellgate Hunters & Anglers: Happy Birthday, LWCF & Thanks for all the Fish! Think of Montana without many of our city parks, ball fields, swimming pools and playgrounds. Imagine looking at thousands of acres of public land that teems with fish and wildlife, but being unable to get to it to hunt and fish. And try this one – picture Montana without more than two-thirds of its fishing access sites on our world-class trout streams. All of this would be reality today if Congress hadn’t had the foresight 50 years ago to create the Land and Water Conservation Fund. The program was based on a simply concept: a small portion of the royalties from offshore oil and gas leases would be set aside to fund important conservation projects. The program has been vital throughout the country, funding public land accesses, forest conservation projects and city parks, among others. There is hardly a county in the United States that hasn’t benefited from LWCF. Montana has been among the bigger winners. Throughout the five decades the Treasure State has received more than $430 million in LWCF funds. It has helped preserve working forests that faced the threat of development, opened access to thousands of acres of public land that offers superb elk and deer hunting, and built numerous parks. The statistic that’s most telling is LWCF’s role in developing our system of fishing access sites. A full 70 percent of the sites in Montana have been partially funded with LWCF dollars. These are key points that allow anglers, floaters and recreationists to get onto our rivers, streams and lakes. These are among Montana’s most special places and they’re important not just for sportsmen and sportswomen, but all Montanans. They’re places where people are just as likely to go for a picnic as a day of fishing or floating. For all its success, LWCF has never fully lived up to its potential. That’s because the fund is authorized for up to $900 million per year, but in fact has only once in its 50 year history been fully funded. Congress has used the money for other purposes, and that’s a shame, because these places are important throughout the country for all Americans. The current threat for LWCF is even worse. The program expires this year unless Congress renews it. And in this era of deficits, that’s possible unless conservation leaders speak out to members of Congress and urge them to keep this vital program alive. Just think of Montana without these public resources. What would it be like to not spend spring days on a stream fly fishing, summer days floating and fall days pursuing Montana’s big game? How sad would it be to not have that neighborhood park down the street to take your children and grandchildren? The next generation deserves the tools to make these investments in our communities, our state and our country, just as we have. It’s time to raise our voices and ensure that LWCF gets renewed.